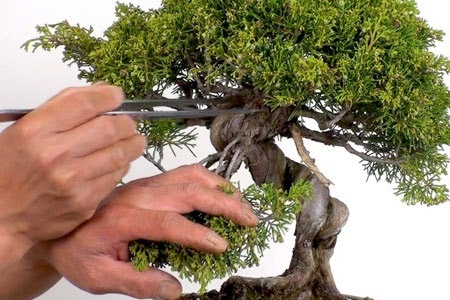 Pruning is probably the most important part of a bonsai preparation. It is basically done to control plant’s natural growth and to maintain proper shape. In this article, you will get an idea about different forms of pruning involved in bonsai. 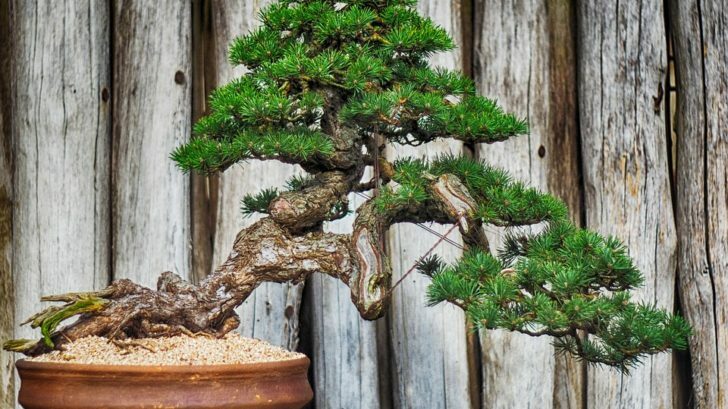 This article is a follow up of our earlier article on Bonsai. A set of scissors or clippers for different parts of the plant viz leaves, small branches, buds etc. A pruning saw for cutting older branches in particular. This is a major form of pruning and is done more than once in the lifetime of the plants. It gives some radical structural changes to the plant. In most cases, structural pruning includes removing major branches of the plant. The basic rule of pruning is you should prune “one of two opposite branches” on the trunk. You can always give the shape to your bonsai the way you choose, just remember once you cut a branch from the trunk it will never grow again. So proper decision is the key. Pruning of shoots is generally done to inhibit the natural free growth of the plant. But also allows light and air to reach to the lower branches of the plant. Process and frequency may differ from plant to plant depending on its variety or cultivar. This is generally done to the plants with bigger and broader leaves. Clipping down leaves several time will force the plant to grow smaller leaves. You need to remove the leaves from the base just leaving the leaf petiole on the branch. From there smaller shoots and leaves will grow. It is by far the most difficult part of pruning. Best time to prune roots is at the time of reporting. The seasonality differ from plant to plant. I will not go into details about root pruning it deserves a separate article. This form pruning generally has to do with deciduous plants. During the beginning of the spring when the growth starts to appear, pinch the buds from the plant. Sometimes you may have to add some fertilizers to make sure the plant doesn’t remain nutrition deficient. I hope you got an overview of the types of pruning involved in bonsai preparation. Stay tuned for more articles related to bonsai. Thanks for making another Bonsai article. A friend of mine is one of the people who maintains the Bonsai collection at the National Arboretum. I asked him to prune a Japanese Maple in a pot for me, destined to be put in the ground. We’ll see how that looks in a few years. I think a large tree with a Bonsai shape could look pretty neat. A minor correction: you used the word “reporting” when you meant “repotting”. Otherwise, a nice article.